Published on 9 February 2012. 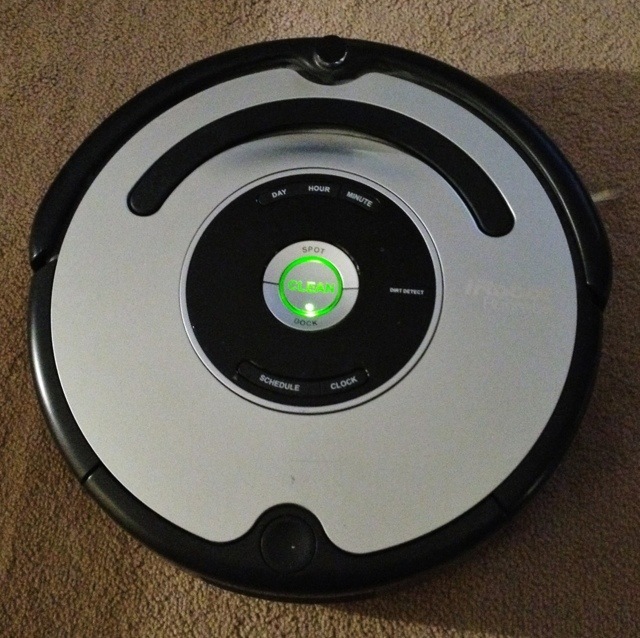 This is Roomba, our deeply futuristic vacuum-cleaning robot. We adopted her about 10 months ago, and she’s hoovered the flat thrice weekly without complaint ever since. This 1,517th post was filed under: Photo-a-day 2012, Technology, Gadgets, Robots, Roomba.